3 Bedroom Semi Detached House For Sale in Liverpool for Offers Over £240,000. Entwistle Green are delighted to offer for sale this stunning three bedroom dormer property which has been finished to a really high standard. 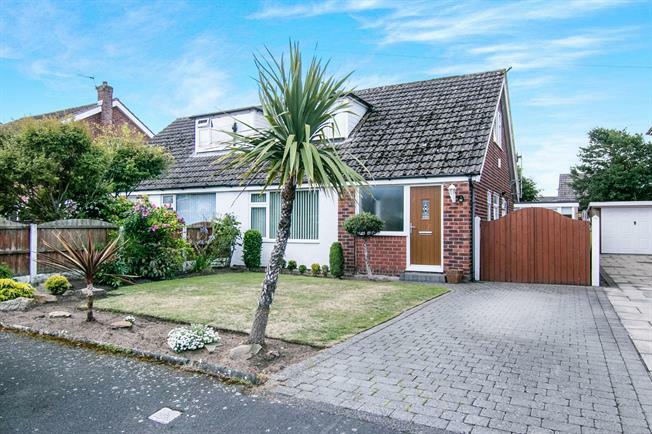 The property briefly comprises of an entrance hall, lounge, conservatory, kitchen, three bedrooms and a bathroom. The detached garage has been converted to allow for an extra bedroom/play room/study, adding versatility to family living. The home benefits from a rear garden and driveway as well as central heating and double glazing. Viewings are recommended to truly appreciate how attractive this home is! UPVC front double glazed door, opening onto the driveway. Double glazed uPVC window facing the front. Radiator, engineered wood flooring. UPVC patio and double double glazed door. Radiator, engineered wood flooring. UPVC back double glazed door, opening onto the garden. Double glazed uPVC window facing the side. Radiator, tiled flooring, boiler. Built-in units, stainless steel sink, gas hob, space for washing machine. UPVC patio and double double glazed door, opening onto the garden. Double glazed uPVC window facing the rear overlooking the garden. Radiator, tiled flooring. Double glazed uPVC window with frosted glass facing the side. Radiator, tiled flooring. Built-in WC, panelled bath, shower over bath, pedestal sink. Double glazed uPVC window facing the side overlooking the garden. Radiator, carpeted flooring, fitted wardrobes.